The time has come... Neduro DID Dakar! Discussion in 'Racing' started by neduro, Jul 15, 2011. I've decided to race Dakar in 2012. This race has been a dream since the first time I saw it, many years ago on a dorm room TV. The shot was from a helicopter and pulled back to reveal several motorcycles chasing each other across an endless desert, deep in the Sahara. I was absolutely gobsmacked. This year, the race runs from January 1-15, from Buenos Aires, Argentina to Lima, Peru. At the time, it never occurred to me that the path my life took could lead me into that shot. Later, as I raced in the US and Mexico, a part of me was thinking about the Dakar, comparing what I was doing with what it would be like to participate. By that point, I'd researched enough to know the budget, and come to the conclusion that I simply couldn't afford it. 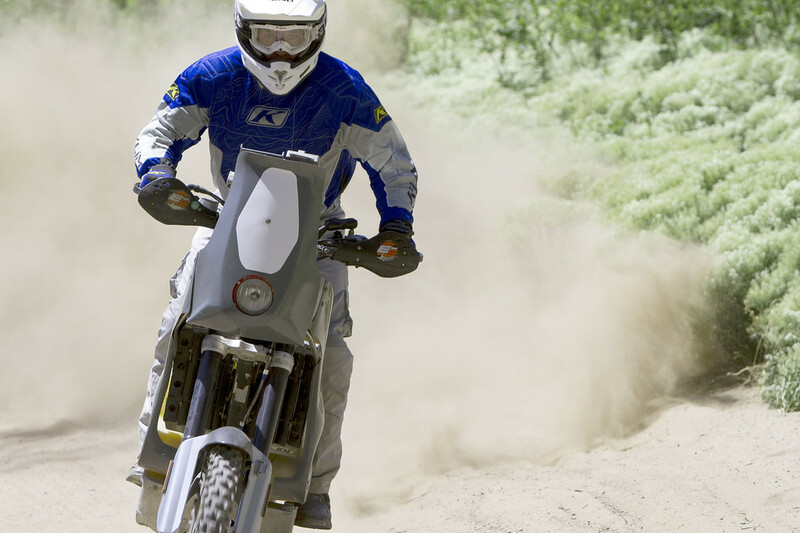 The price for a minimal Dakar effort is something like $50,000, and quickly stretches to $75-80,000 with a few of the things that make finishing more likely (spare parts, mechanic assistance, etc). Watching this year, I decided that I needed to go. I've thought about it too much for too long not to try. I was worried that my interest was founded on what I imagined it would be like and how I imagined myself to be, and I thought I'd better test that before I committed myself. 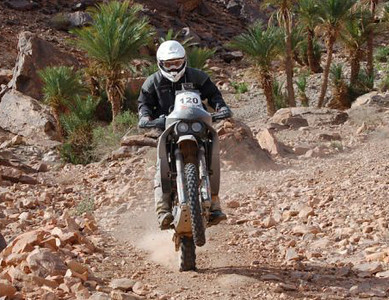 So, in April of this year, I completed an 8 day stage rally in North Africa. It was a phenomenal experience- not only did I enjoy the event, I was good at it. I finished 8th out of 140 competitors, and my skills were exactly where I wanted them to be. With that confirmation in hand, I sent a year of mortgage payments to France for the downpayment on the entry fee, and set foot on the path to Dakar. What I like best about this kind of challenge is that it provides a lens that helps me focus my whole life. When I am exercising, I know why. When I'm riding, it feels like part of a bigger plan, a bigger mission. When I'm eating Ramen noodles, that is part of a bigger plan too. I find that I'm at my happiest when there's something concrete in front of me to work toward, and the Dakar will be the most satisfying challenge so far. Ultimately, what drove the decision is the idea that I don't want to back off from my goals and my dreams, even if they are a little selfish and shortsighted. Today, the only barrier to Dakar is money. My riding skills are sharp and while I will be spending more time in the gym this year, my physical condition is where it needs to be as well. In the future, money may become less of a problem, but the opportunity may be lost for other reasons. It's not curing cancer, and I'm not going to be competitive for the win, but it's a heck of a thing to take on and it fascinates me. So, what the heck! Of course, I can't look at this race without the budget dominating my thoughts. So, I've come up with a scheme to help raise some money that will be a win all around, I hope. First, of course I'm selling T-shirts and stickers and the usual schwag. In addition, some great companies have come forward to help make an even better proposition for you if you are able to send a few $$ my way. Klim, MX1West, Motonation (Sidi Boots), Wolfman, BRP, Adventure Spec (for Europeans), Outrider Journal and Butler Maps are all stepping up with awesome special offers for my supporters. I'm also going to keep a private blog for supporters, that details what it's like to be working on this project, the budget, what steps I'm taking to prepare- essentially, giving you a window into everything that happens around the race effort. The first couple of posts are up, more are coming soon. Go get em Ned... Finish that thing! BTW.. the deals offered by the manufacturer/distributors are near what a "sponsored" rider discount is and the companies are all top notch! Here we go! I don't have anything to do with this unless habitually clicking into the same internet forum - and still I'm proud! I'm also looking forward to my first Dakar team t-shirt. Can't wait to live vicariously! This is very cool, Ned! Really looking forward to reading/watching the progress and details you can provide! Do you ever wake up and suddenly remember what you're working towards? Sharing the journey with everyone is probably therapeutic too, knowing your not alone in such an amazing endeavor. Awesome, I'm glad you are going for it! Sharing the journey with everyone is probably therapeutic too, knowing your not alone in such an amazing endeavor. In 2007 for the Double Barrel Baja 1000, I remember being stuck in terrible silt, couldn't see the front fender, middle of the night, and I'd already ridden 400+ race miles. I felt this surge of strength from all the people that were a part of us being down there. I knew at that very moment that there were people thinking of us and wishing us luck, and it really helped. I'm sure I'll need (and get) that same feeling in Dakar... the financial realities of the race dictate doing fundraising, but to me, that's an extension of community, not the starting point.